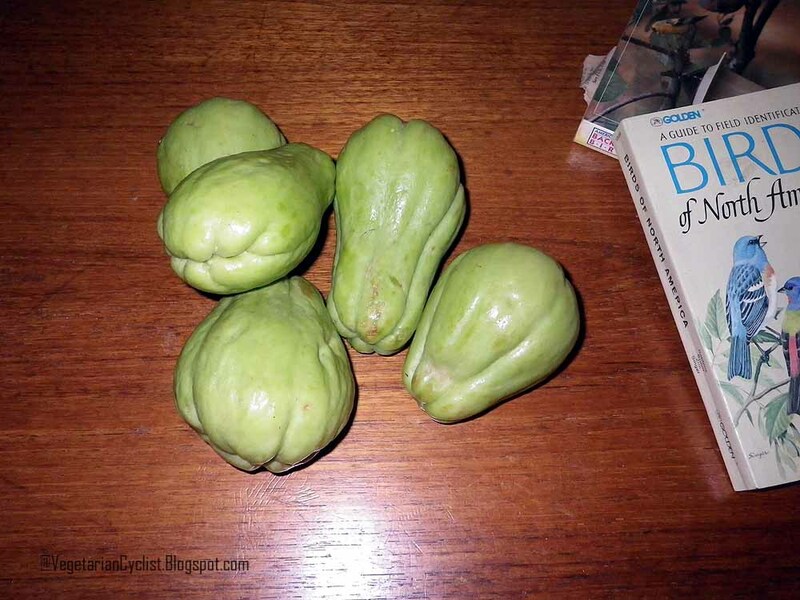 Chayote squash is one of my favorite vegetables. On Monday, I prepared a new dish: Sweet Chayote-Conconut Curry. 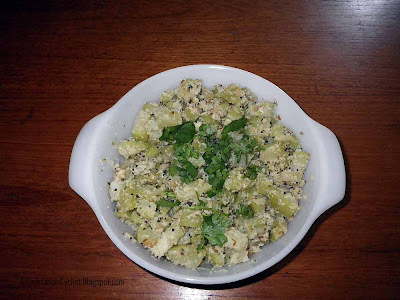 This dish requires no red chilies or black pepper, and hence the end product is actually a bit sweet, which is great. I posted another recipe for a Chayote Squash Stew once before, but this new recipe is quite different from that one. In a blender or a food processor, grind the curry leaves (A), the 3 strands of cilantro (B), cumin and the coconut into a paste. Add the chopped Chayote squash. Simmer for a few minutes until the mix is not too runny (until much of the added water has evaporated). Serve piping hot or at room temp! This dish tastes good hot or warm.